The 44-year-old elephant was burned in Vietnam. 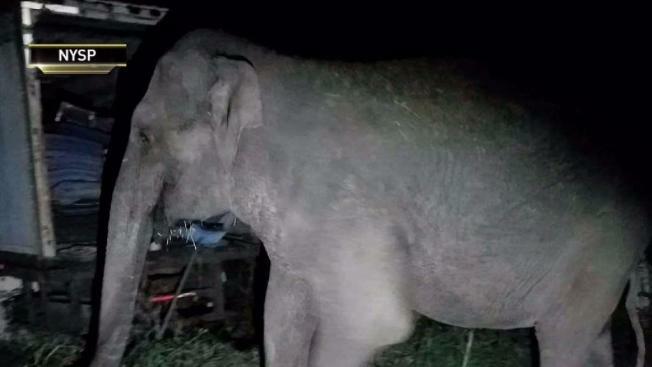 A 44-year-old elephant is back home safe and sound after she escaped from an animal sanctuary in Orange County. Troopers found it Sunday night wandering around in Westtown, New York, near the New Jersey border, New York State Police said. The elephant is from Vietnam and was badly burned by napalm, a chemical found in bombs, during the war, a Facebook post confirmed. “Never a dull moment in Troop F,” the post by the NYSPD read.